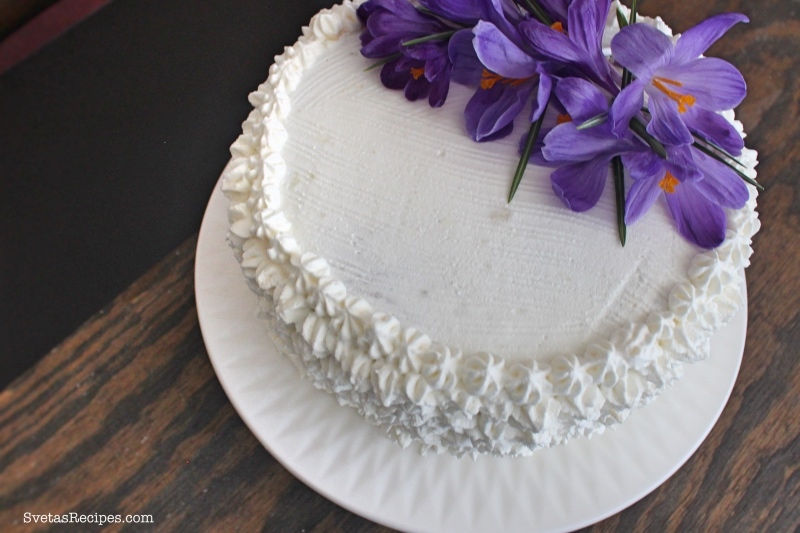 This Cake was perfect for my Easter celebration party, All of my guests including my family enjoyed the cake and said it tasted delicious. NOTE: EACH INGREDIENT IS DOUBLED BECAUSE I DID TWO PORTIONS! 1.) In two Bowls separate your eggs yolks from egg whites. Beat your eggs whites in a mixer while gradually adding sugar. 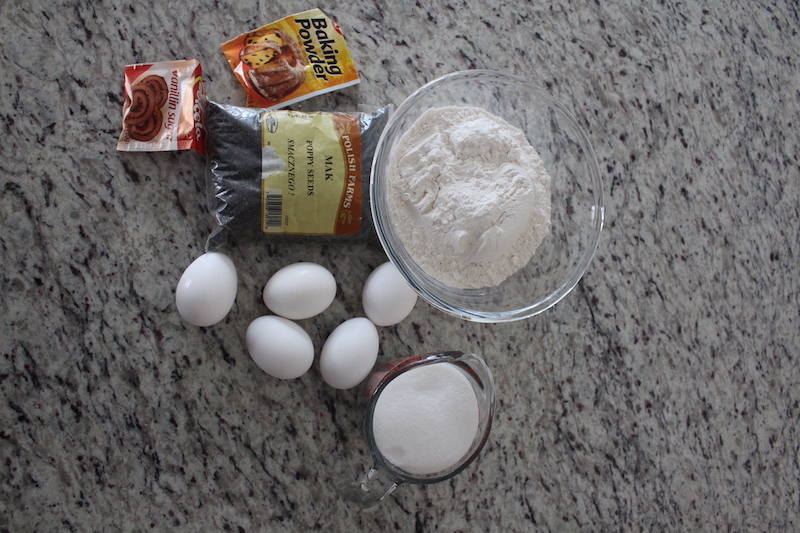 When your egg whites mixture starts to get fluffy add egg yolks gradually while mixing. Continuing add your poppy seeds and mix. Add your flour and mix again. 2.) 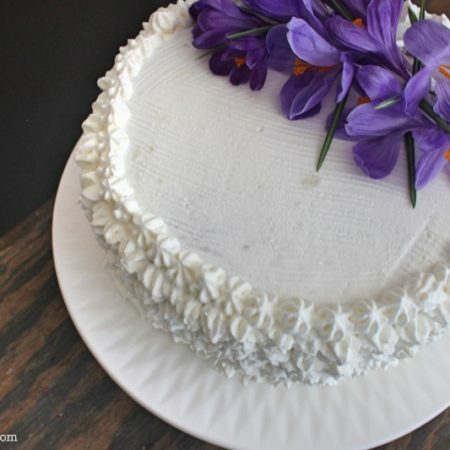 Pour your dough into 2 cake forms with tinfoil on the inside and cooking spray. Bake for 30 minutes on 350ºF. Take your cake layers out of the oven and let them cool down for 4 hours. 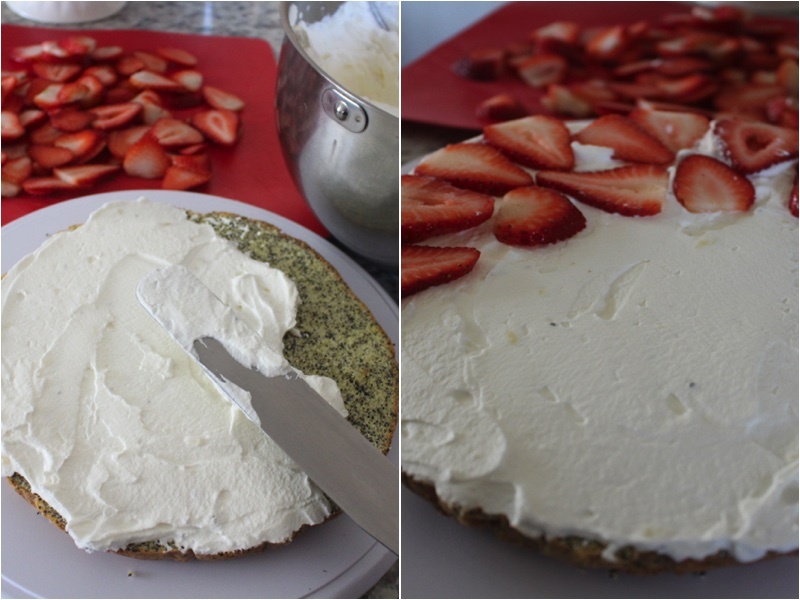 Slice both layers into 2 so you have 4. 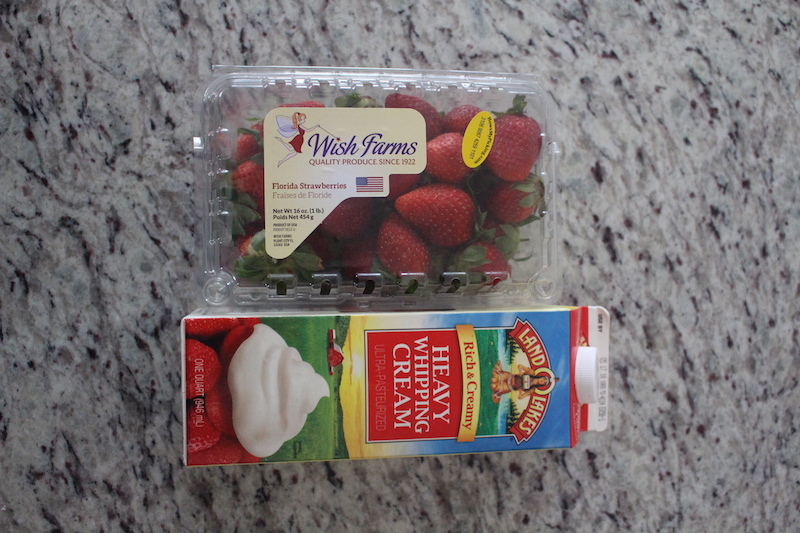 To make your cream beat your heavy cream while gradually adding condensed milk. 3.) Cover each layer with cream and add sliced strawberries Once you stack all of your layers cover the top and sides with cream. Let it sit in a cold area for a couple of hours before eating. Decorate, Cut, Place on a serving dish and enjoy. In two Bowls separate your eggs yolks from egg whites. Beat your eggs whites in a mixer while gradually adding sugar. 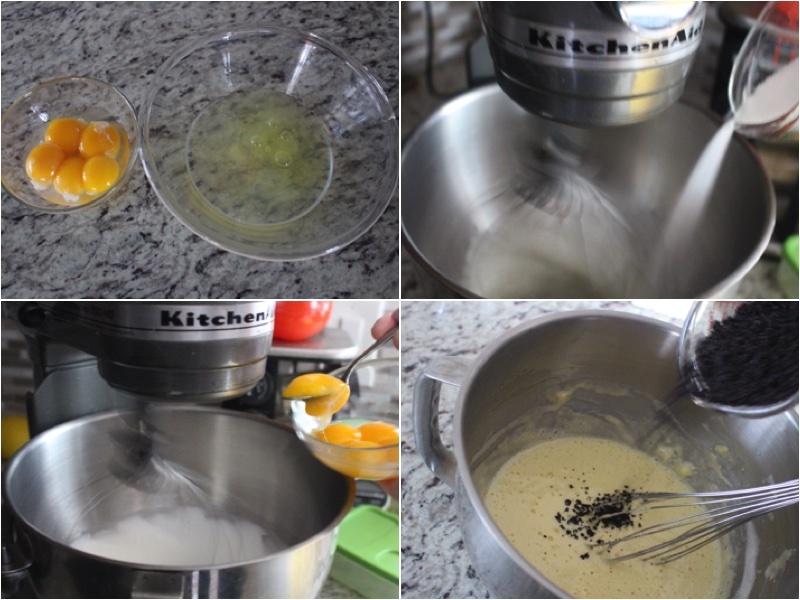 When your egg whites mixture starts to get fluffy add egg yolks gradually while mixing. Continuing add your poppy seeds and mix. Add your flour and mix again. 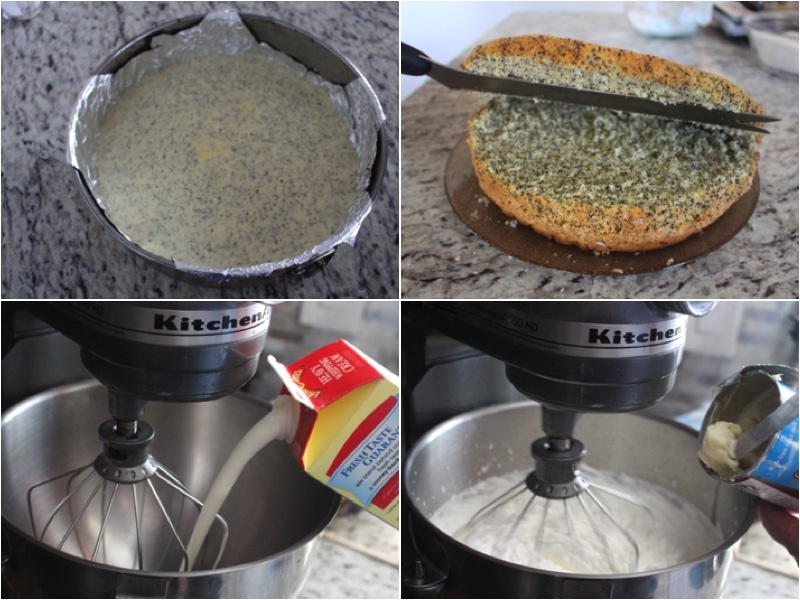 Pour your dough into 2 cake forms with tinfoil on the inside and cooking spray. Bake for 30 minutes on 350ºF. Take your cake layers out of the oven and let them cool down for 4 hours. 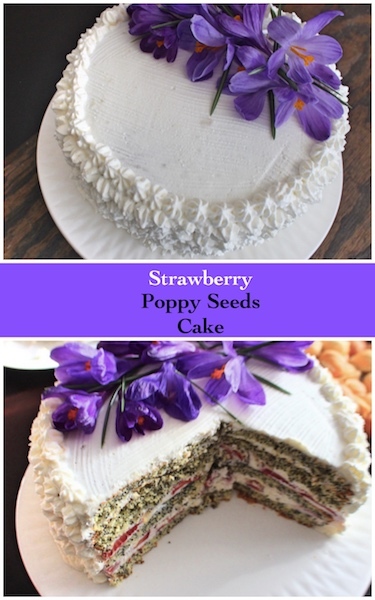 Slice both layers into 2 so you have 4. To make your cream beat your heavy cream while gradually adding condensed milk. Cover each layer with cream and add sliced strawberries Once you stack all of your layers cover the top and sides with cream. Let it sit in a cold area for a couple of hours before eating.